After losing back-to-back fights against Stipe Miocic and Derrick Lewis to open up his 2018, a lot of fans and media (including myself) were off the Francis Ngannou bandwagon. Although he looked amazing in his first six fights in the UFC, finishing all of them in brutal fashion, losing in lopsided fashion to Miocic and then putting on a horrible fight against Lewis made it seem like Ngannou's days as a heavyweight contender were over. But as we saw at UFC Fight Night 141, that's far from true, as he put on arguably his best showing inside the Octagon to date. Although Ngannou had a previous TKO win over Curtis Blaydes in 2016, he was a heavy underdog in this rematch, and considering the recent run by Blaydes, that made sense. Blaydes was coming off of a vicious TKO win over Alistair Overeem and was on a six-fight unbeaten streak that also included dominant victories over veterans Mark Hunt and Aleksiy Oleinik. 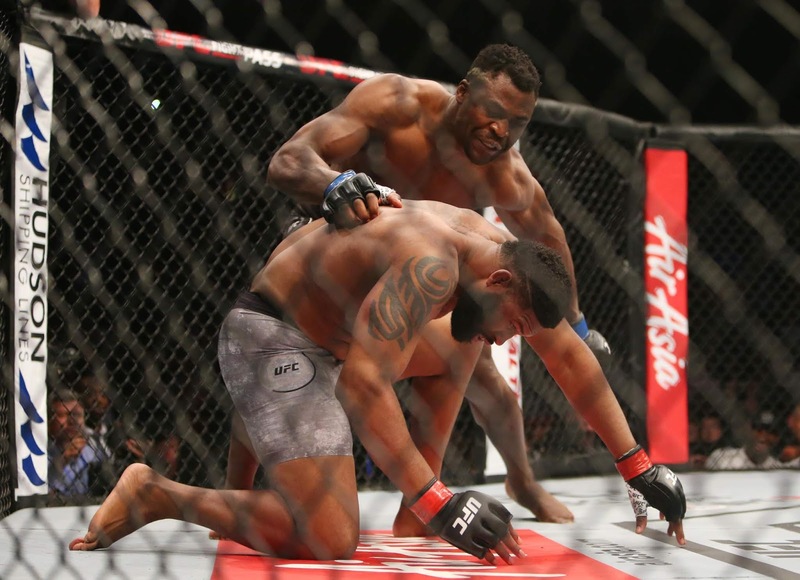 With Blaydes having the wrestling pedigree and Ngannou showing poor takedown defense in the Miocic fight, plus with the improvements Blaydes had made on the feet, the thought process behind thinking Ngannou would win was sound. But as we all know, despite what a matchup looks like on paper, MMA is not a game played on paper, and Ngannou demonstrated that once again. It took just 44 seconds for Ngannou to clip Blaydes and finish him with strikes in the rematch, emerging from the bout with a decisive victory over the guy who was supposed to be fighting for the title next. The win gives Ngannou a solid 7-2 record in the Octagon, with all of his wins coming by stoppage. He'll also move back into the heavyweight Top 5, with the only men ahead of him being the champion Daniel Cormier and the two guys he lost to in Miocic and Lewis. If Brock Lesnar wasn't coming back for a big money fight with Cormier next year, then Ngannou could realistically be the next guy in line for DC. But with Ngannou not really being a proven pay-per-view draw, the odds are that DC waits for the safer, more lucrative fight. So now Ngannou needs an opponent. He needed less than a minute to dispatch Blaydes and he took no damage in the bout, so the UFC could book him for a pretty quick turnaround. The promotion needs fights for its ESPN+ cards in early 2019, and Ngannou would be the perfect guy to showcase on the UFC's new platform. With his hulk-like physique and ridiculous KO power, he offers the kind of mainstream marketability that would help the UFC showcase its product to that audience. The right opponent can capitalize on Ngannou's appeal, and Junior dos Santos is that opponent. 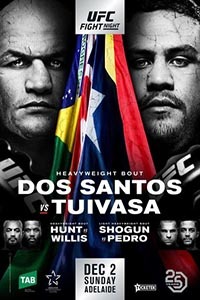 This weekend's UFC Fight Night 142 headliner is a bout between JDS and Tai Tuivasa, and if dos Santos wins that fight as expected, Ngannou would have the opportunity to put a win over a former UFC Heavyweight Champion on his resume. The two were previously supposed to fight at UFC 215 before USADA pulled JDS from the fight, Ngannou and JDS are two of the most high-profile heavyweight knockout artists in MMA history, and a fight between these two would be an incredible striking contest that would likely end in a brutal KO. 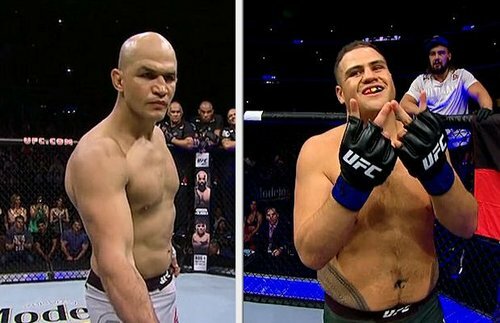 On the off chance that Tuivasa beats JDS, a bout between him and Ngannou would also be a striking battle between two heavy-handed KO artists, albeit a less appealing one. So really, Ngannou would be smart to call out the winner of that fight as soon as it's done, regardless of who wins. MMA is such a funny sport sometimes. 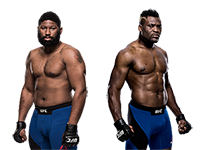 Just a few of days ago, Francis Ngannou had been written off as a title contender, and many, including myself, had anointed Curtis Blaydes as the next top guy. But this sport doesn't follow a linear path. 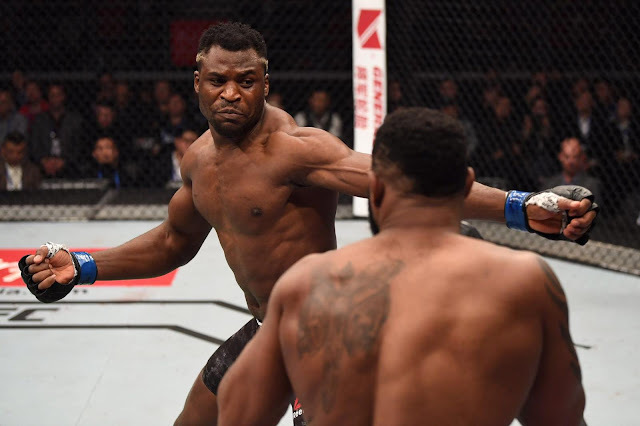 Ngannou may have looked terrible in his fights against Miocic and Lewis, but he erased all those concerns with the knockout over Blaydes. Now he's back on top of the game and in possession of a of a highlight-reel win over a top-five opponent. He may have had a rough start to the year, but as he showed against Blaydes, he's not done as a heavyweight title contender just yet. And he could potentially get another crack at the belt before long. 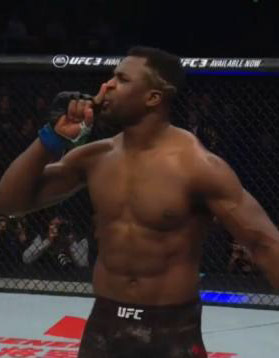 • Curtis Blaydes vs. Francis Ngannou 2: Francis Ngannou def. Curtis Blaydes via TKO (punches) at 0:45 of Round 1. 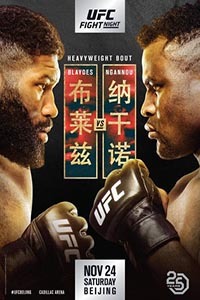 UFC Fight Night 141: Blaydes vs. Ngannou 2 took place November 24, 2018 at Cadillac Arena in Beijing, China.